One of the most crucial tools that any reasonably invested photographer should really spend on is a quality tripod. 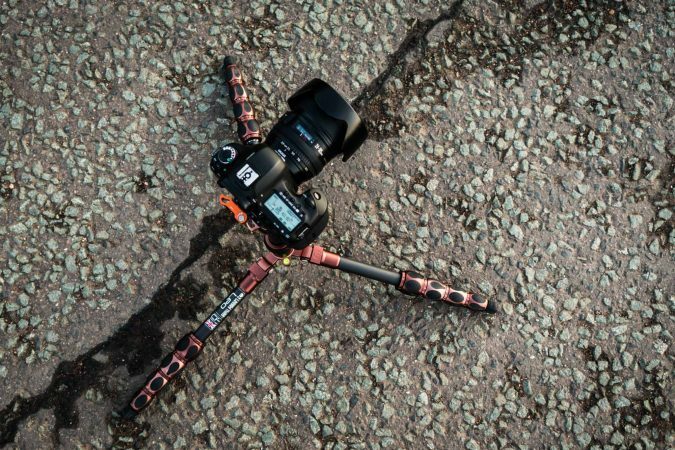 Undoubtedly, any good tripod is rather demanding on your bank account. 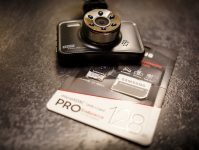 That said, just like any fine photographic equipment, it’s often worth the asking price. 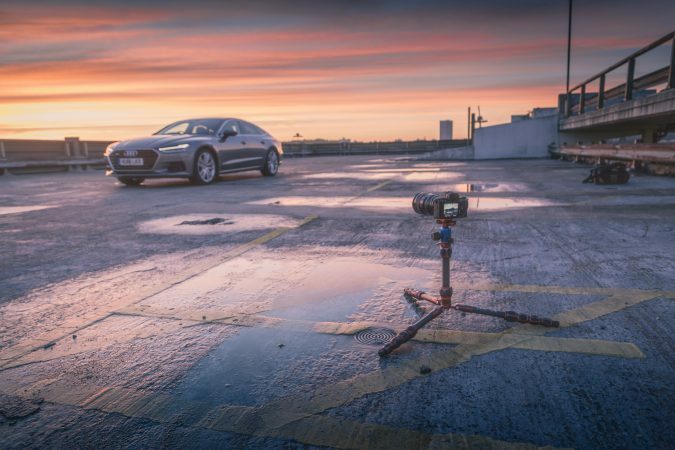 For me personally, as an automotive photographer, tripods are something that are incredibly handy to have within my arsenal. Here we are testing out the 3 Legged Thing tripod called Leo. 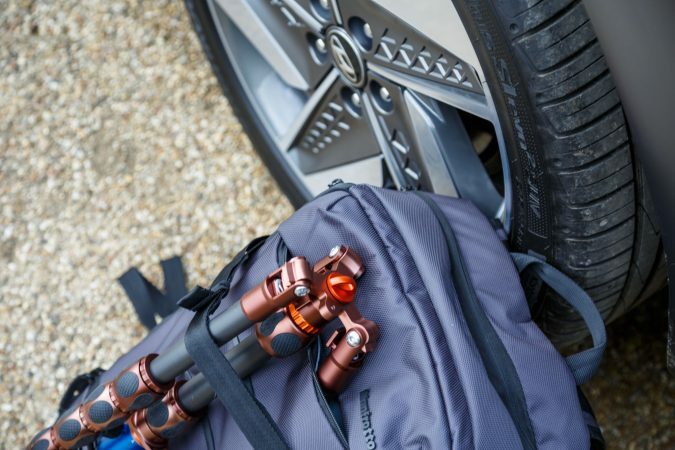 Marketed as a workhorse travel tripod that can handle even the heftiest load, the Leo seems like a properly serious bit of kit for the keen mobile photographers. Working with lots of different cars on a tight schedule does mean that I travel a lot, so is the 3 Legged Thing Leo fit for some labour? 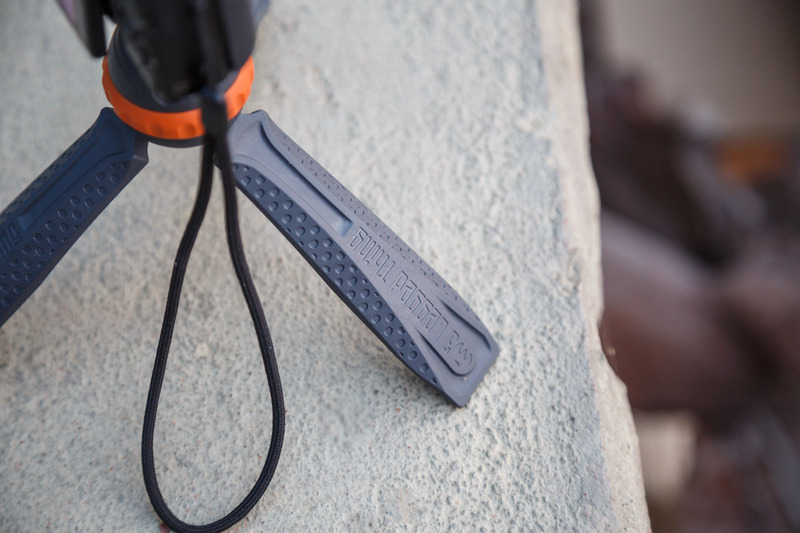 Just open the box and you’ll be greeted by the Leo, a d-ring with a multi-tool, a rugged canvas carrying case with a shoulder strap to carry the guy around, and that’s really it. However, when you first handle the tripod, it is a rather impressive little guy. 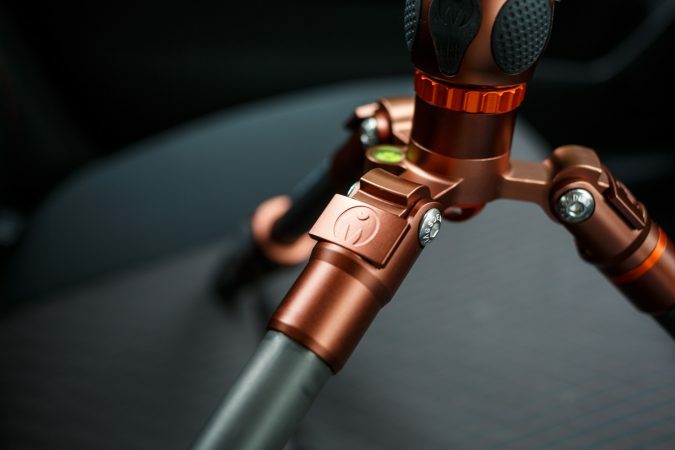 Deftly melding quality aluminium and affordable carbon fibre, following in the footsteps of revered tripod manufacturer Gitzo, even though it’s startlingly light at 1.4 kg, it feels plenty stout. The colour scheme is definitely rather unusual for a tripod. Blending vivid bronze and burnt orange sections the Leo may seem toy-like, yet it’s anything but. 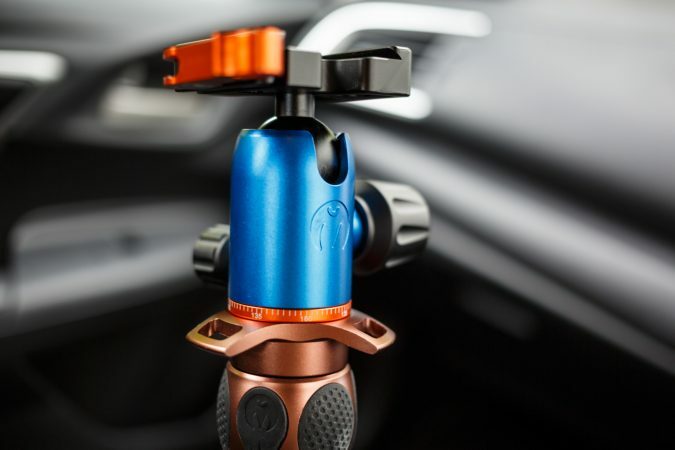 Do note that the vibrant blue ball head mount is another product from 3 Legged Thing, the AirHed Switch, and it’s only available if you spare another £60.00 into your purchase. Not only does it feel sturdy, but all the limbs and moving parts feel pleasing to operate. 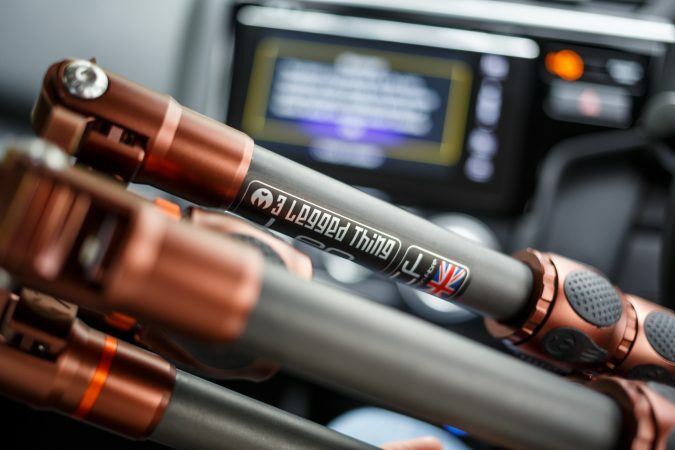 The legs extend via a smooth twist lock, with 5 sections that can be extended to yield 0.97 metre of height. If you need more, the centre column can also be lengthened by 2 sections t0 boost the height limit to 1.31 metres. 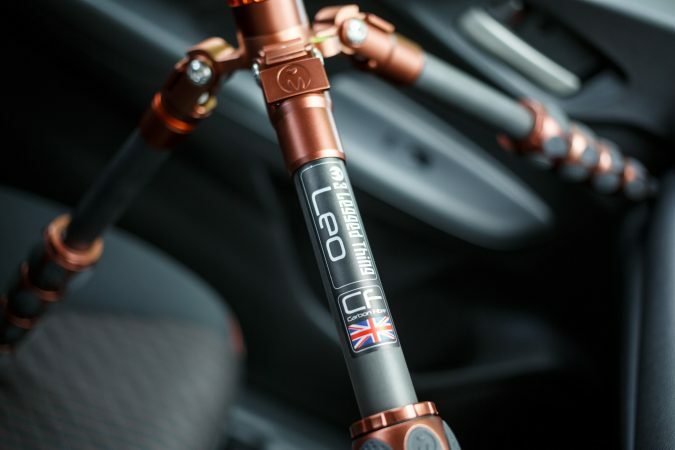 To broaden the versatility of the 3 Legged Thing Leo, the legs can also be tilted at a steeper angle to lower the overall height and centre of gravity. 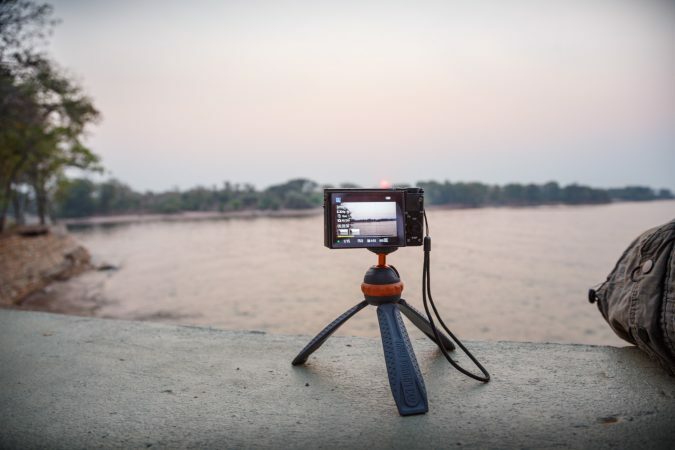 Hence, the tripod can sit at the traditional 23° angle, spread wide at an 80° angle or settle at an intermediary 55° angle. 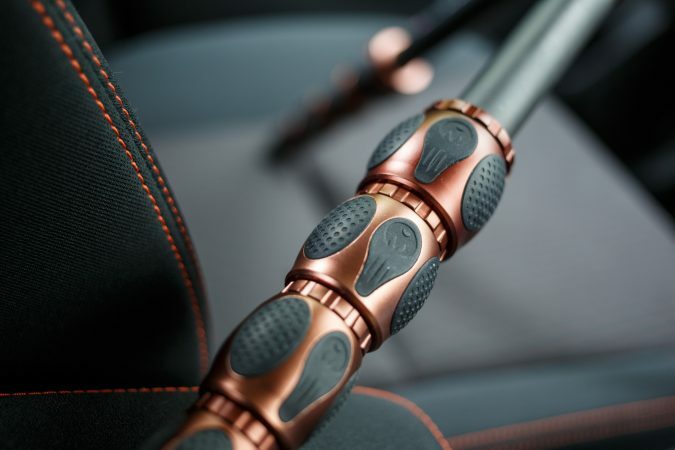 The leg spreading mechanism locks in with a manual ratchet lock at the top of the legs. Once locked, it’s very robust. Thankfully, 3 Legged Thing has made the rubber feet of the legs removable, so you can swap them out for spikes to provide extra stability in soft terrain. Or just replace the rubber whenever it wears out. 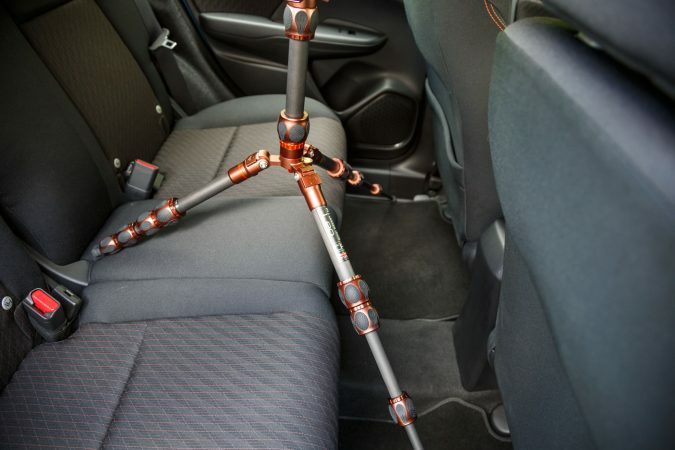 Of course, to really test out a travel tripod, you have to actually travel with it. 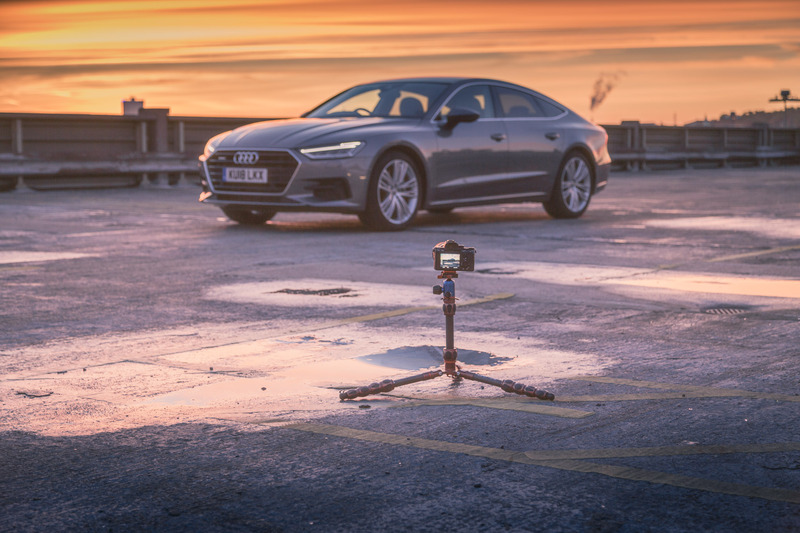 And for a proper trial, we’ve ditched our usual go-to choice tripod for the Leo, and only used the Leo for all of our shoots during our testing. 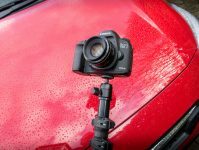 Courtesy to 3 Legged Thing, we’ll be using the AirHed SWITCH ball head mount too, but you can use essentially any tripod head you like as it comes with 6 1/4″ mounts and 1 3/8″ mount. The Leo works best with Arca-style mounts though, and it’s said to function well with Peak Design products. One thing that’s very agreeable is just how portable it is. Once folded, it measures in at 350 mm and packs in neatly into the carrying case, but it isn’t too large to hang out of your camera bag either. 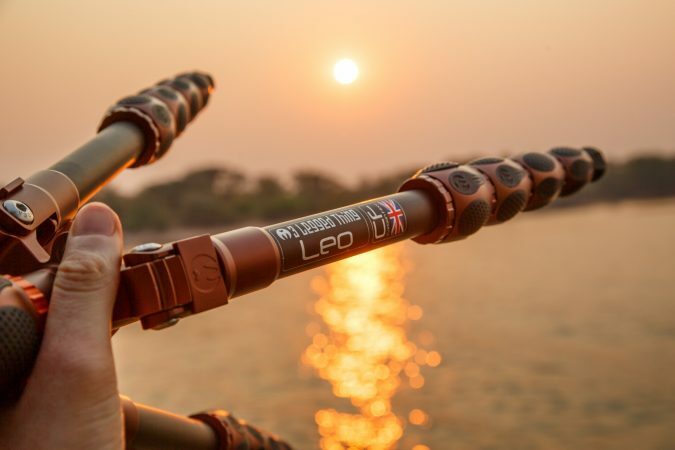 While the 1.75 kg total weight doesn’t sound exactly like a featherweight, when you consider that the Leo boasts a maximum payload of 30 kg in its 23° stance, it is quite astounding. 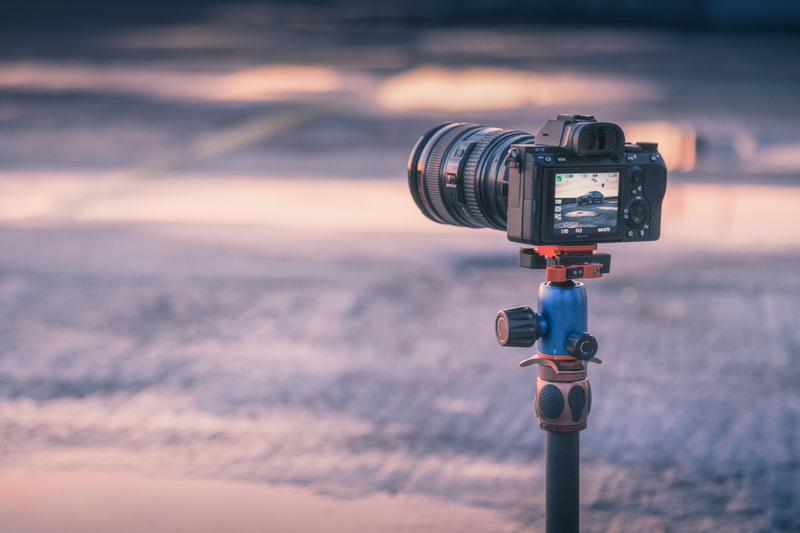 And when you’re having to carry a portly full-frame DSLR like our Canon 5D Mk 3 paired with the sizable EF 24-105mm f/4L lens, not every tripod, especially when it comes to travel tripods, can cope with the weight. Yet the somewhat compact Leo just shrugs off the heft like its nothing. Never did the Leo ever concern me that it’s struggling, instilling splendid confidence so that I could actually focus on shooting the car. Offering remarkable adjustability also allows me to shoot at eclectic angles, much appreciated when I need some variations with minimal time to spare. 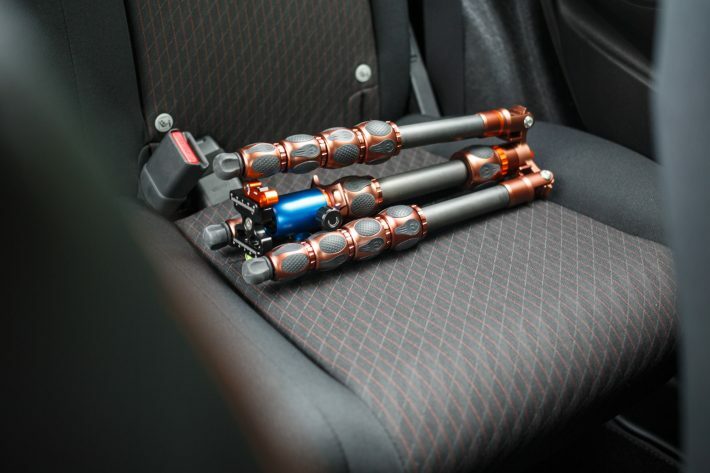 The Leo also packs another undoubtedly valuable trick up its sleeve – ability to convert into a monopod. You can quite easily unlock and slide out the center column from below, then unscrew one of the legs, and finally combine the two to make a monopod. And it serves well as a monopod too, if a bit short. Throughout my time shooting stills with the 3 Legged Thing Leo, I am definitely surprised at what it has offered. 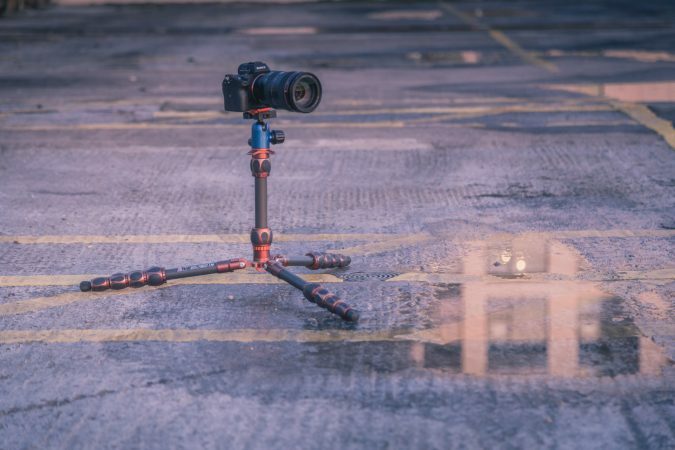 While currently being priced at £269.10 it is actually one of the most inexpensive carbon fibre tripod you can purchase today, and it’s definitely one of the very few to come out of the UK nowadays. 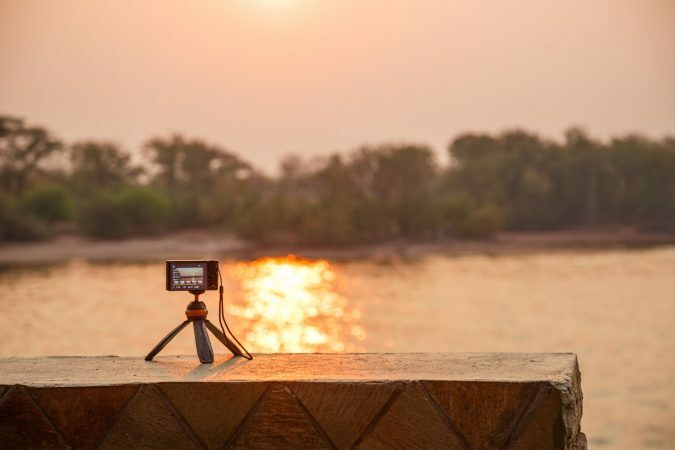 And for that price, you get what is a very robust and capable travel tripod that can handle professional cameras, while offering 3 Legged Thing’s modular tripod system to improve upon its usability. It’ll go to 1.4 metres with the ball head, yet drop down to 120 mm when you need it. Also, it comes with a 5 year warranty. Sure, it can be a bit too short for the odd shot every now and then, requiring you to hunch over to look into the viewfinder. That’s the compromise for the portability. The looks of the tripod certainly make it stand out from the rest, out of all the expensive gear we move around site to site the tripod has had the most attention and people are always asking questions about it. 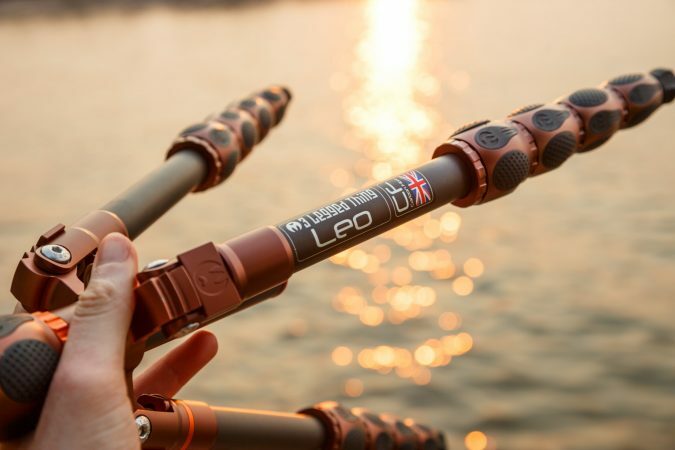 Regardless, if you want a mainly carbon fibre travel tripod that has a friendlier price tag, yet won’t disappoint you with shoddy build quality and questionable reliability, the Leo is difficult to beat. 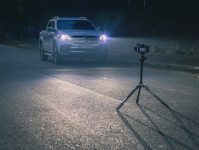 If you are interested in the 3 Legged Thing brand, but don’t right now need a tripod but still want a bit of the joy of being a customer, you could always try out the Iggy. The 3 Legged Thing Iggy has been specifically designed for smaller devices such as phones, action cameras and compact cameras. Here you can see a Sony RX100 being used for a time lapse. 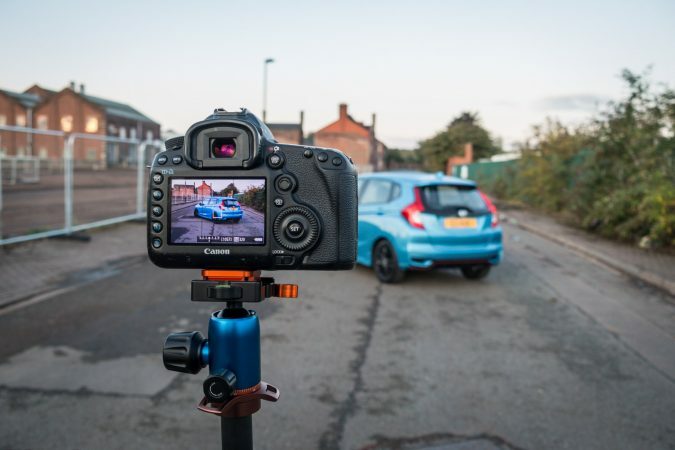 The super lightweight tripod is perfect for this type of camera. It is very steady and ultra-portable, in fact you can fit it in your pocket. 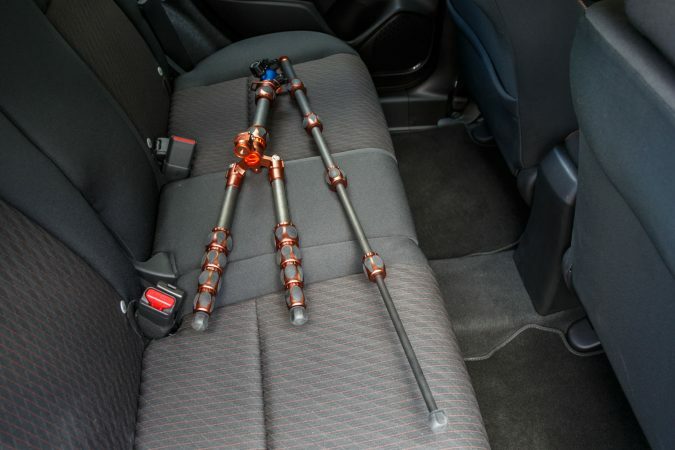 The tripod can also double up as a handle when closing all the legs together for shooting on the move. The Iggy really has lots of different use cases. It can be purchased from 3 Legged Thing for £22.50 at the moment.